Since when does watching the big game mean giving up on all your resolutions of eating healthier in 2019? Whether you’re cheering for blue & yellow or blue, red & silver – it has never been easier to go GREEN this Super Bowl weekend. We’ve found a way for you to eat all the classic game day snacks without the stomach aches and guilt. Consider these #moringainspired snacks as part of your Sunday Super Bowl spread. Having a tasty array of dips is critical to any good spread. 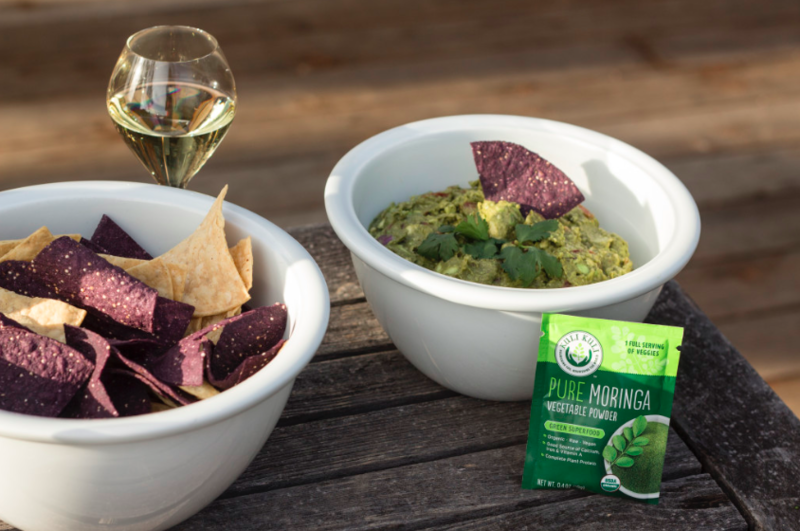 Check out our classic moringa guacamole that is easy to make and adds a delicious smoky flavor to the average guacamole. If you’re looking for something a little more unique, try a roasted poblano moringa hummus or a peanut moringa dipping sauce. When it comes to dips, the more the merrier, so why not make all three?! Although personally, I could sustain myself on chips and dips, in order to keep the fans full and happy, it’s important to have a few savory items for your guests to munch on. 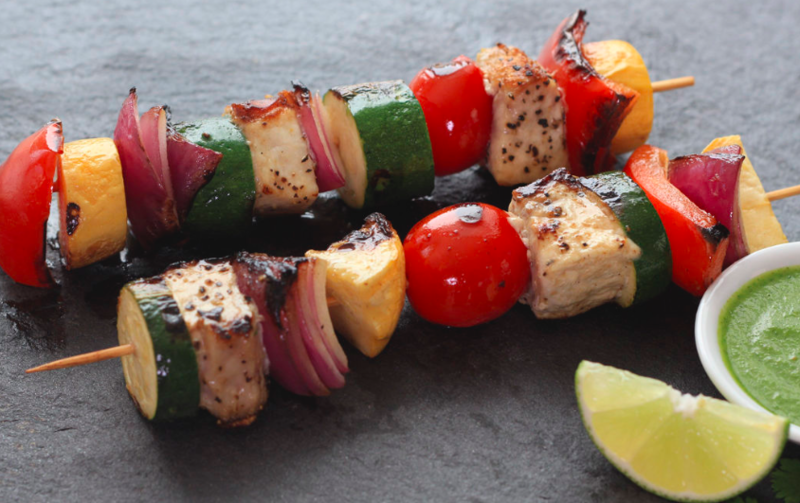 Rather than spending all morning cooking, check out these freezable moringa empanadas or these veggie or swordfish skewers you can make the day before and just throw on the grill on game day. For those who want to offer something a little more filling , you can’t go wrong to the classics: pizza and burgers. 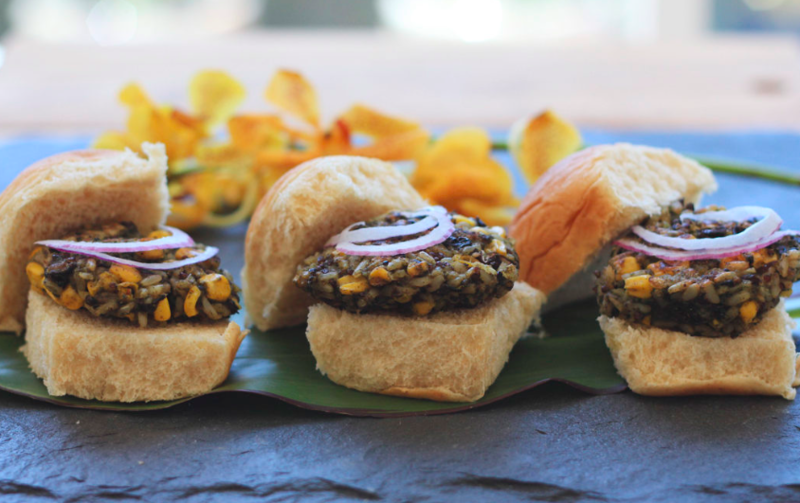 Check out these quinoa moringa black beans sliders and watch as even the most carnivorous guests go back for seconds. For your gluten free friends, you can try this pizza that puts Domino’s to shame – butternut squash pizza with moringa cauliflower crust! When it comes to desserts, it can feel impossible to find a healthy option while maintaining flavor. 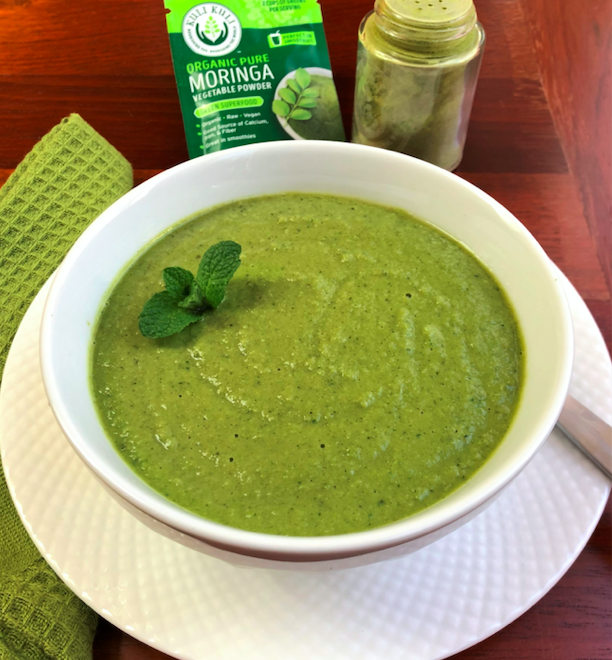 Fortunately, moringa powder pairs extremely well in baked goods so you can get your favorite treat while sticking to your goal of eating veggies! Take your favorite cake/ cookie/ brownie recipe and add some pure moringa powder, simple as that. Read these four tips to ensure you’re not baking out the nutrients. 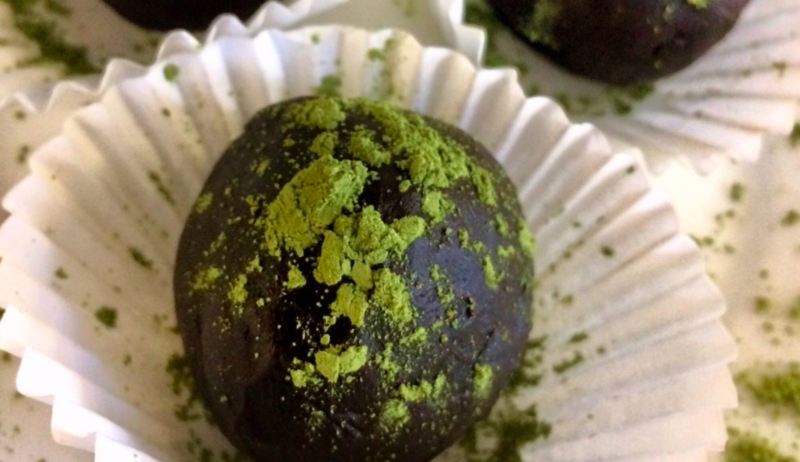 Our personal MVP is the dark chocolate moringa truffles. 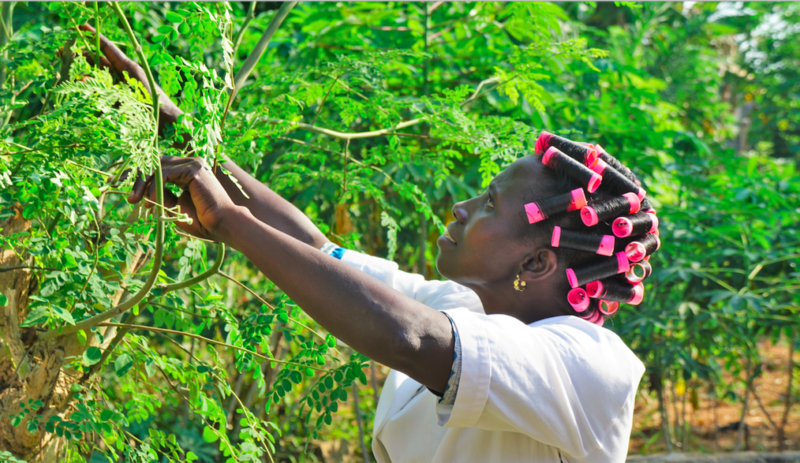 Last but not least, after snacking on all these tasty moringa treats, guests will need something to quench their thirst. A refreshing moringa lemonade can do the trick. 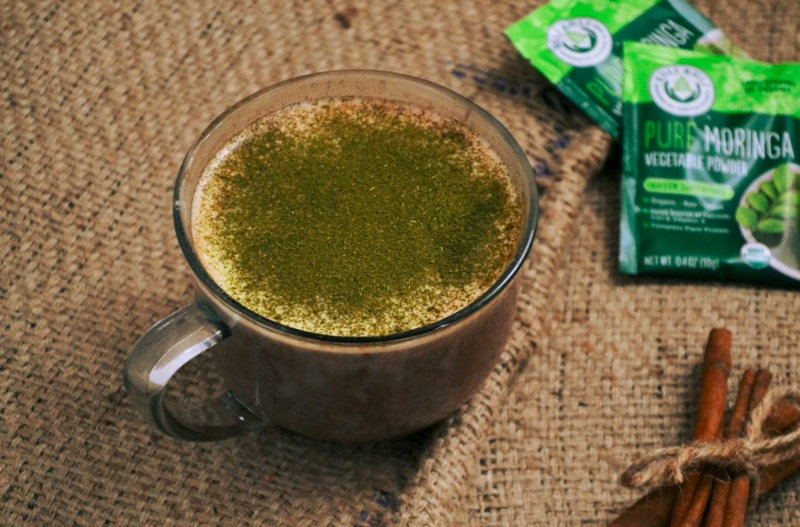 Or you’re in parts of the world that are experiencing extremely low temperatures, this pumpkin spiced moringa latte might be a more appealing option. And when you hit half time and feel your energy go down and your pom pom hand are a little heavier, snag a moringa energy shot and get right back into it! 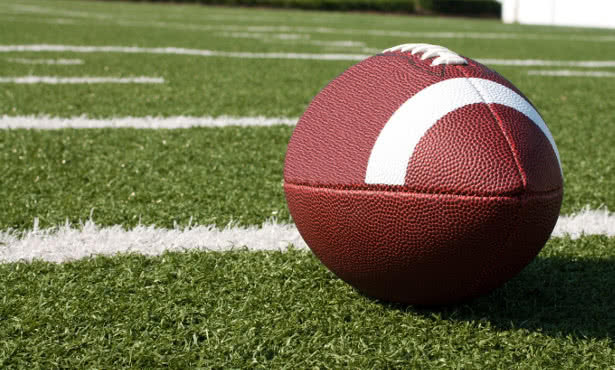 Here at Kuli Kuli we are wishing everybody a healthy, happy and safe Super Bowl Weekend. If you enjoy moringa on game day, be sure to take a picture and tag @KuliKuliFoods on Instagram and hashtag #KuliKuli and #MoringaInspired so we can see!